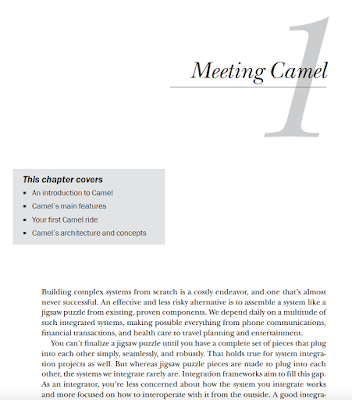 The Camel in Action 2nd edition book is getting real close soon. 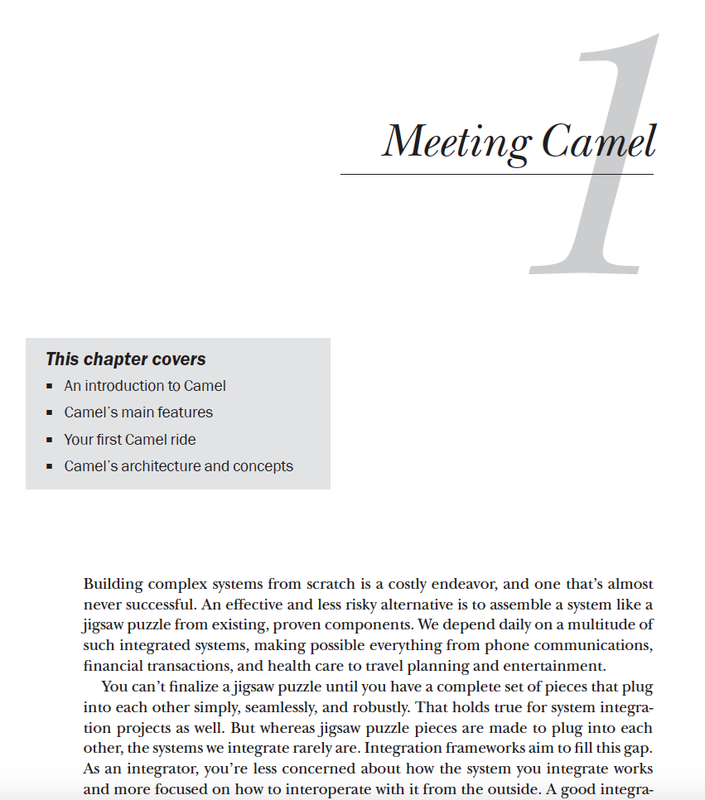 Today the first three chapters just returned from the first layout process. In the book we want to say thank you to people whom have helped us on the way in any form of shape, such as by sending us emails with reviews, feedback, or submitted fixes to the source code etc. We have gathered a provisional list of people to thank. During the development of the book, Manning held 3 official reviews where anonymous readers provided feedback. At this time of writing we, the authors, do NOT have this list of persons. However Manning will insert the names of the reviewers in the final book. In case you have provided us with help over the last 2,5 years of work on the 2nd edition book, then you are welcome to reach out to us so we can ensure to include your name as well. And we are sorry if we haven't included your name from the beginning, but we only started gathering these names over a year ago. You are also welcome to contract us if you have helped us, but do not want to have your name included in the final book.